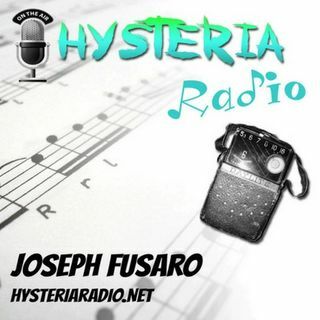 Jeff Sparr recently called in to Hysteria Radio to talk with Joseph about how he found some much needed relief when he channeled his OCD into his artwork. After finding peace through painting he decided to start an organization (PeaceLove.org) to share the gift of creativity with hospitals and schools all over the country. Jeff and the 100+ Creators from PeaceLove work tirelessly to help students and patients turn their pain into art. Every Spring PeaceLove holds an all day storytellers ... See More conference in Providence, RI to share inspiring stories of people that used creativity to find a little hope and a little light in their lives. This is an episode you won't want to miss.